Join us for a week of plein air painting in verdant and historic Bucks County! Paint the quaint towns, rolling landscapes, lakes and rivers, covered bridges, stone farmhouses, and historic estates that have inspired artists for more than a century. Jointly hosted by Bucks County Community College, the Central Bucks Chamber of Commerce and Alan Fetterman Fine Arts, proceeds support art scholarships and arts programing in Bucks County. The Bucks County Plein Air competition is open to all painters age 18 and older. All entrants will be juried, and the total number of participants will be limited to 30. At least six participating artists will be residents of Bucks County, PA. Entries must be submitted electronically by the deadline, along with a non-refundable application fee of $50. Artists are encouraged to complete their submission well ahead of the deadline to avoid last minute technical issues. For technical support, email JAS at support@jurying.net. Artists must submit three (3) digital images of plein air paintings made within the past two years. Images must be JPEG format at 300 ppi and sized between 1400-4000 pixels on the longest dimension. Refer to the Help menu on the Juried Art Services site for details. An artist biography (up to 1000 characters) and photo (jpg – at least 6” and 300 ppi) are required as part of the application package. Artists may check their application status online by clicking on the My Applications function of the Juried Art Services website. find out the result of the jurying process. 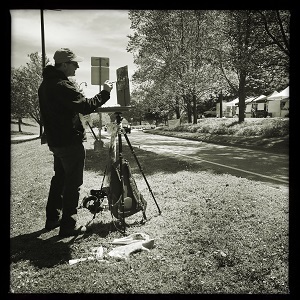 Bucks County Plein Air has a completely NEW juror and judge this year! Jurying will be a blind process, with the juror seeing only the artworks, not artist information. Thirty (30) artists will be selected to participate, of which eight (8) are Bucks County residents. Juried Art Services will notify artists of the juror’s decision via email and a post to each artist’s profile on June 21. It is the responsibility of the applicant to check their email and profile. Accepted artists must confirm their participation to bcpleinair@bucks.edu by June 30. 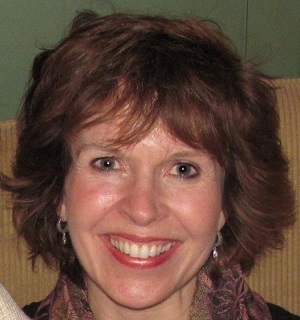 Valerie Craig is the competition juror. Having pursued her lifelong passion for painting on a full- time basis for more than 20 years, Valerie is known for her expressive brushwork. She believes that painting is a celebration of life and the beauty that surrounds us and that her best expressions happen when she is on location and can directly sense the mood and atmosphere of a particular scene. Valerie is the recipient of many awards in the United States and abroad, and has judged national and international painting competitions, including Ireland’s Art in the Open, Floyd Plein Air, Solomons Island Plein Air and Norfolk Plein Air. She has had numerous solo exhibitions and enjoys teaching workshops. Joe Gyurcsak is the competition judge. Joe is a painter known for his keen sense for capturing the essence of his subject – whether interiors, still lifes, figures or landscapes – with a bold and candid approach which has earned him numerous awards and the attention of collectors throughout the country. Educated at Parsons School of Design and The School of Visual Arts in New York, Joe enjoyed a successful illustration career. He later studied with many leading representational painters of our time in pursuit of a fine art career. Joe is gifted teacher able to convey complex concepts and techniques to students with simple concepts and has taught workshops and privately for more than 25 years. A member of The International Society of Acrylic Painters, Oil Painters of America, and American Impressionist Society, Joe exhibits, lectures, judges and demonstrates across the nation. Every effort will be made to provide host housing. Artists wishing to apply for host housing should make their request known upon submission of the Agreement to Participate. Host housing is available on a first come, first served basis and is only for participating artists. Family members are not able to be accommodated. Additional housing may be available at a reduced rate at local motels. All work must be original and painted en plein air during the Festival. Acceptable media are oil, acrylic, watercolor and pastels. Paintings may not exceed 24 inches in any dimension, excluding frame. All exhibited artworks must be stamped, framed and wired, and available for sale. Artists must submit two (2) finished pieces for prize judging. Artists may submit additional pieces for exhibit and sale. BCPA will retain 40% commission of the sale price. All works commissioned during the Festival week will be treated as sales. Payments to the artists for sold work will be mailed 30 days after the event. All artists must submit a completed W-9 form at time of artist check in. Artist checkout 4 p.m. on Sunday. Winner of Best of Show will be exempt from jury process for the 2020 Festival. All artists and their guests will receive free admission to the Collectors’ Preview Reception on Saturday evening, October 5. The Festival will be held regardless of weather and will not be re-scheduled. Artist attendance at all events is mandatory. Competition artists release and hold harmless BCPA, their officers, employees, agents and designees from any and all responsibility or liability. BCPA is not responsible for any monetary losses, including bad checks or credit cards. Visit www.BucksCountyPleinAir.com for a complete list of terms and conditions.